As the mom of a large family, learning how to organize a closet has helped decrease clutter. An organized closet is a more efficient use of time and space, however it does take a bit of effort! A closet is normally not seen by anyone and can be a magnet for clutter. However, since nobody sees it, the motivation is not there to organize it. Because a closet is used everyday, if left unorganized, a lot of time can be wasted and frustration occurs because of the mess! Do it all at once – set your mind to it, make time and get it done in a short amount of time. Whichever method fits your personality, here are the steps I take to organize a closet. 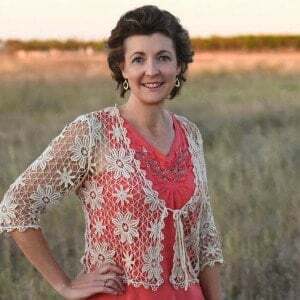 If you haven’t used items or worn clothes in a year – do you still need it? Maybe it is time to give those items away or sell them. Move items in the closet that belong elsewhere in the house and put them where they belong. If clothes are out of style (and you don’t wear them), get rid of them. Keep only items that fit you and you wear. Maximizing closet organization can be done with many different tools and closet systems available. Do an online search for closet storage organizers to see which tools might be best for your needs. I find that just de-cluttering and getting rid of clothes I no longer use makes a huge difference. Really, organized clothes just make life easier! Add a second (lower or higher) hanging bar. A lower bar can be used for pants and skirts. Multiple hanging bars at different heights are also a great way to organize children’s closets! Shelves can be added down one side for storage bins, storage boxes for folded clothes or bins for shoes. Shoe racks can be used on the floor to keep them in place. Creating more hanging space can be accomplished with thin hangers, hanger cascades and double hanging rods at different heights. Hanging shoe organizers or canvas hanging shelves are great not only for shoes but also folded clothes. I use the hanging shelves for sweaters and t-shirts. Take the time to learn how to organize a closet and then do it with your closet! Think of the seasons – If it is summertime, move summer clothes to the front and visa versa with winter. Use boxes and baskets or other space savers, to hold shoes, bags and belts. If space is limited consider packing and storing off season clothing elsewhere. A Little Effort Gives Great Reward! 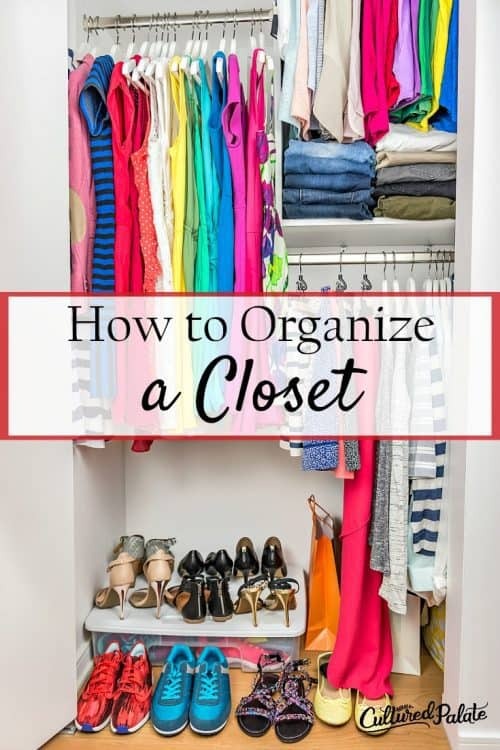 Learning how to organize a closet can be does easily. With a bit of time and effort, you can overcome the frustration that clutter can cause. 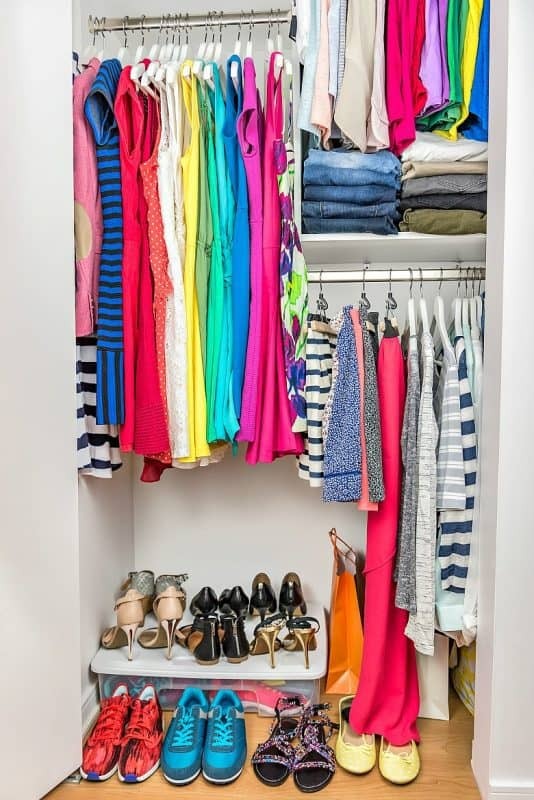 Finally, for me personally, an organized closet helps give a more positive mindset, outfits are easier to select, and clothing and accessories are kept in better condition. What are your closet organization tips?